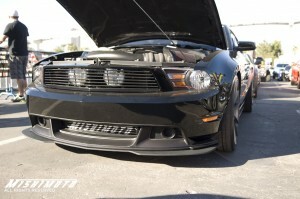 As one of the more underrated functions on a Mustang–or any car for that matter–the cooling system plays a vital role in not only how your motor performs and how much power it produces, but it’s also the only thing that stands between a healthy, well performing engine and toasted pile of useless bolts and metal. Keeping your engine temps in check is always better than potential engine damage from a neglected or under-performing cooling system. 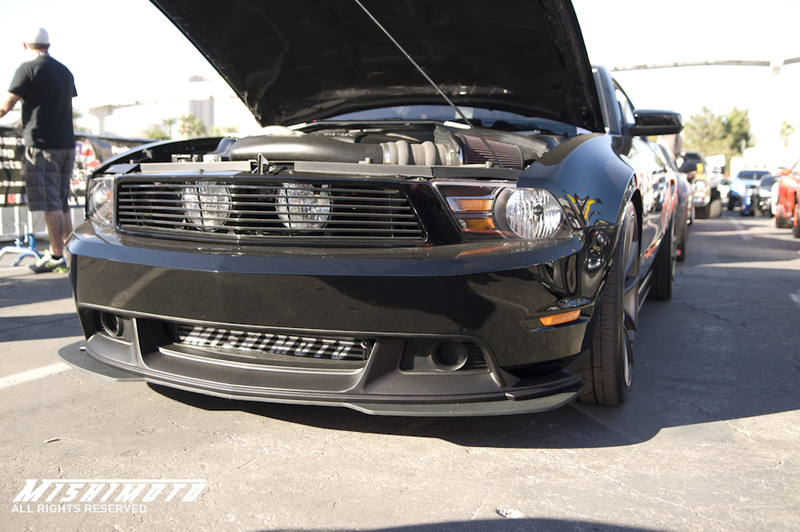 Mishimoto is known for producing some of the highest quality parts in the automotive industry. Backed by a lifetime warranty against all defects, they put their company name and credibility behind every product they make. They even design new technologies to improve upon the nasty little issues and annoying fixes that pop up on your Mustang from time to time. That’s where their “Mustang Stabilizer System” comes into play. Typically, when you go full throttle or are in the midst of racing your car, the sheer amount of torque the engine is producing causes the Mustang’s uni-body chassis to flex. This flex commonly causes the end tanks to separate from the radiator’s core. 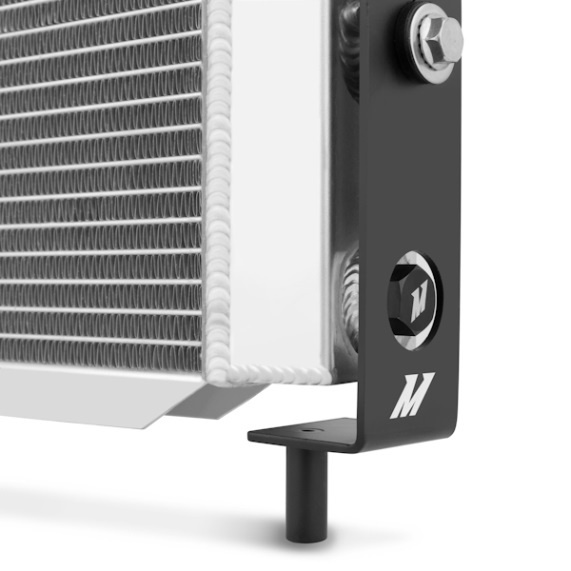 Mishi’s stabilizer system is independent from the radiator itself and utilizes brackets and rubber spacers that let the radiator itself “float” while the chassis is under stress. This keeps the pressures caused by torque from twisting and breaking the radiator. While the stock radiator is more prone to breakage, it is also a good idea to swap it out for an aftermarket piece when you start adding a lot of engine mods and especially when you bolt on a supercharger. 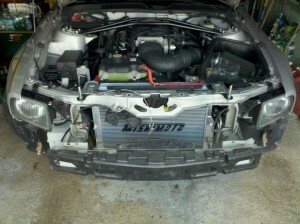 The Mishimoto performance aluminum radiator w/ stabilizer I had in my Vortech supercharged ’02 GT more than did the trick–I was seeing operating temperatures noticeably cooler than stock while daily driving the car during the dead of summer. That said, anyone who lives in a warmer climate and has a supercharged GT should highly consider upgrading the cooling system.